As environmentalists are learning, the Trump administration takes a very different approach to environmental matters than its predecessor. At midweek, the Environmental Protection Agency (EPA) denied a petition to ban the use of chlorpyrifos, a widely used pesticide in agriculture. Under the Obama administration, the EPA had planned to impose a rule that would have effectively banned its use, citing research linking it to damage to the central nervous system. Because of a court order, the current administration said it had until the end of this week to decide whether or not to ban the chemical, as environmental groups had filed suit to force it to do. EPA Administrator Scott Pruitt announced the agency would not ban the pesticide as he issued an EPA Order. “EPA turned a blind-eye to extensive scientific evidence and peer reviews documenting serious harm to children and their developing brains, including increased risk of learning disabilities, reductions in IQ, developmental delay, autism and ADHD,” said Miriam Rotkin-Ellman, Senior Scientist at NRDC. According to a pesticide information network, established by Cornell and several other universities, Chlorpyrifos is known as a broad spectrum insecticide. It was introduced in 1965 and used primarily to kill mosquitoes, but it's no longer approved for that use. It is effective at controlling a variety of insects and is currently used on both food and non-food agricultural products. 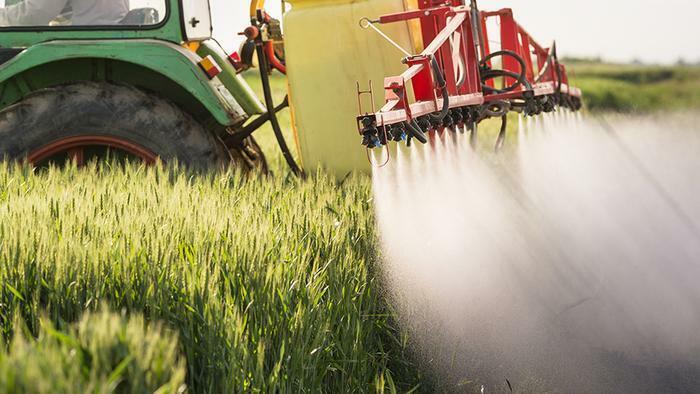 The network also notes the chemical is “moderately toxic to humans.” It says studies have show that poisoning from chlorpyrifos may affect the central nervous system, as well as the cardiovascular system, and the respiratory system.